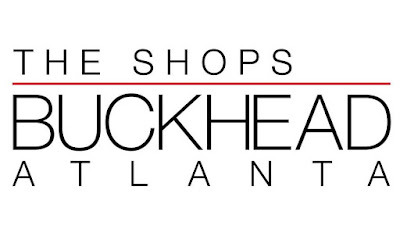 Buckhead Atlanta now "The Shops Buckhead Atlanta"
Having recently celebrated the one year mark since their first tenants opened, Buckhead Atlanta has added "The Shops" to its name. (Shops Around Lenox already exists) This is now the fourth name change for the Buckhead mega project. As of this afternoon, the project's website, facebook, Pinterest, Twitter and Instagram had all been updated to reflect the new name. Originally conceived by local developer Ben Carter as "Buckhead Avenues" in 2006 Carter subsequently changed the project's name to "The Streets of Buckhead." That name change was prompted by a complaint by fellow developer Cousins Properties who contended the project would be confused with their "The Avenue" retail projects. 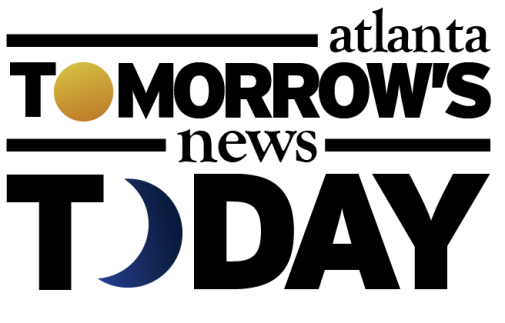 Following the financial crisis that adversely affected Carter's ability to secure financing between 2007-2009, San Diego-based OliverMcMillan purchased the site from Ben Carter Properties in 2011. OliverMcMillan tweaked the original plans for the project, eliminated the previously planned two hotels, and claimed that rather than upscale restaurants, the development would target local chefs. By most accounts, Buckhead Atlanta has largely struggled to get its retail off the ground. Christian Louboutin, Hermes and Warby Parker are reportedly the strongest performers, while others like diptyque, Brunello Cucinelli and Theory have labored to find an audience. As far as restaurants go, the project includes only two local concepts: Gyspy Kitchen and The Southern Genteman, both from Atlanta-based Southern Proper Hospitality. The other restaurants represent a "Noah's Ark" sort of scenario where three out-of-state operators each operate a pair of concepts. New York-based LDV Hospitality operates Corso Coffee and Dolce Italian and will soon open American Cut and The Regent Cocktail Club. Dallas, Texas-based Raised Palate Restaurants (fka Consilient Restaurants) operates both Thirteen Pies and American Food & Beverage. Miami, Florida-based Aoki Group operates both Doraku, a sushi restaurant, and Qing Mu, a noodle bar. Lenox Square and Phipps Plaza have both upgraded their dining and retail options over the past few years as Simon and OliverMcMillan have waged an advertising war touting their respective tenant lineups. Most readers I've spoken to about The Shops Buckhead Atlanta cite the lack of an anchor and the paid parking deck as dampening their interest in the project. A year in, what are your thoughts on The Shops Buckhead Atlanta?  What needs to be added or changed about the project to entice you not only to visit, but to shop? If you have been to Ponce City Market, Avalon and The Shops Buckhead Atlanta, which is your favorite and why? Honestly, Streets of Buckhead was a good name. Sure, it could sound a little pretentious but that's the point of the whole development. Buckhead Atlanta and their whole justification for it was head scratching and I'm sure is what drove the change. I'd love to see a heat map of where their shoppers are coming from because I'm pretty sure it's not as international as Dene was selling to justify the name. Living/working in Buckhead and telling people you were going to go to Buckhead Atlanta just felt really stupid. I usually heard people say "that new place" or "over by Shake Shack" or "Streets of Buckhead". NOBODY here really called it Buckhead Atlanta on first mention/description. As far as the retailers and restaurants go, I have yet to buy anything from there but have generally enjoyed the restaurants (except for Southern Gentleman and Gypsy Kitchen). Let's be honest, while Atlanta has money and a small fashion scene I'm not sure there are enough stick thin males looking to buy skinny suits from Theory. How many really want $300 swim trunks when the SEC fraternity guys just go down the street to Chubbies/Onward Reserve and buy pairs from there for much cheaper? There are too many high end retailers and not enough mid-range (e.g., J Crew retailers). Ponce City Market will do extremely well because it is more diverse and isn't relying on someone wanting to spend $300 on swim trunks, $500 on terrible quality loafers at Tod's, a lady in Atlanta looking for a $2,000 coat from Moncler to wear to the bunny slopes on her first ski trip, etc etc. The food court at Ponce is much different as well. Not so much sit down restaurants and the ones that are open have very abbreviated menus but so far they are great and offer a good variety. Parking there will be interesting once you have to start validating but they aren't left with any other choice being right up against the Beltline. You can't let people going for a walk to come down and take up parking for free. Ponce is also pulling in locals from multiple nearby neighborhoods who can get there easily by car, foot, or bike (Virginia Highlands, Druid Hills, O4W, Inman Park, Candler Park, Lake Claire, Kirkwood, Reynoldstown, Midtown) whereas Shops at BA is probably heavily dependent on Buckhead, Brookhaven, and some Midtown. Avalon doesn't provide anybody living ITP with anything they don't already have ITP in spades. Never been nor do I plan on going. If I happen to ever go it's because I will be up there for some reason, passing by, and decide to quickly stop in. It certainly won't be a destination for me. It is a beautiful concept but like most concepts that are solely based on the idea of grandeur, this one is doomed to fail unless they make some big changes. Parking should be free or validated. There needs to be a few middle-range retailers on the property. While Buckhead is for the upper crust of Atlanta, I just don't see the 1% of ATL moving their dollars from Saks at Phipps to having to peruse multiple stores in an awkward location just to buy a new fur vest. I have gone here for exactly two reasons - Warby Parker and Shake Shack. These are the only two retailers or restaurants that interest me for the effort it takes to get there (both traffic and parking-wise), not to mention they're the only two that I can afford. I've yet to visit Ponce City Market since it's on the other side of town, but I'm confident I would much prefer it. And even though I live ITP, Avalon has become quite a favorite of mine (probably largely because I have many friends and family in the Alpharetta area). Avalon overall is just wonderful to me - easy to get around, charming, stores I actually shop at, a fun mix of local restaurants. Why they decided to re-name it in the first place made no sense at all. Streets of Buckhead, .....seems pretty simple to me. Name aside, the place has to be struggling. Other than Shake Shack, nobody seems to be busy at all. Lenox and Phipps are safe for a long time. When is Blades by Ray Lewis opening at The Shops at Buckhead Atlanta? Agree 100% with Anonymous @ 2:52 PM. Buckhead Atlanta is a curiosity (i.e. "Who shops here? "), Ponce City Market is a destination and Avalon isn't on my radar. I thought "Streets of Buckhead" was sort of pretentious but these last two names are suddenly making that one sound better and better. 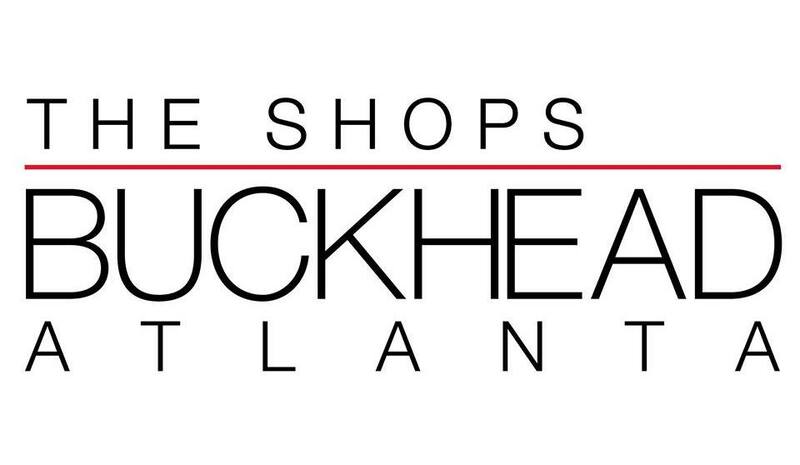 "The Shops Buckhead Atlanta" sounds like someone didn't proofread and left a preposition out. Poor branding in the first place and now a band aid. "Lenox" sounds upscale. They should have done something simple like "Windsor"; sounds ritzy like it is. Calling something Buckhead in Buckhead is unimaginative, confusing and overdone. Lenox and Phipps figured that out years ago. The target audience for Buckhead Atlanta (agree with everyone else this is a rock-dumb name) isn't Buckhead bros but rather people from nearby states who drive in to Atlanta to go shopping. I am thinking "Chrisley Knows Best" types. Also it's for high-end brands to have a retail presences in the geographic southeast. I'm pretty sure nobody at Moncler corporate thinks that the Atlanta store is all of a sudden going to become a high performer. Finally, parking is a nonissue here. There's valet, and the deck is easily accessible, large, and well lit. Nobody with actual intention to shop here is going to be dissuaded by the nominal cost. This person's "sources" sounds like bull****. If you're turned off by paid parking then chances are you are not the demographic these retailers are catering to. WWD magazine which is a respected fashion magazine stats other wise too. I went to Hermes and purchased a few belts and buckles. What really turned me off though wasn't the shopping experience but paying for parking! If not for that, I think I would visit the shops more often. Bring it on Butakhan!!! I am a proud patron of the Del Taco delicacies. This is one of the best events since we landed on the moon. Del Taco --- to Milton and BEYOND!! !